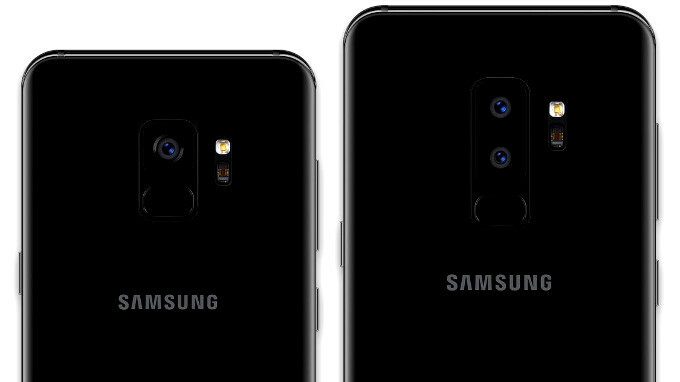 Hot on the heels of the rumor that the Galaxy S9 and S9+ will be the most expensive duo in the history of the Galaxy S line now comes a report out of Samsung's home country that reiterate that speculation, albeit for the home turf of South Korea. The two phones will be available on all three major carriers in Korea, but "although the domestic price of the Galaxy S9 will increase, it will be decided at a level where consumers do not feel burdened," divulged a source from inside one of those carriers. How much is that level, compared to the Galaxy S8 starting price in Korea? Well, the S8 took off at 935,000 Korean won (~$875) there, and the Galaxy S9 is said to start at 950,000 to 999,000 Korean won (~$890-$935). In the US, the Galaxy S8 started at $750, so if we apply that same logic, the S9 should cost at a maximum 10% more which would still put it dangerously near the $800 territory we dreaded might happen based on the "record S Line price" rumor from last week. As far as further info on specs and availability, the S9 will allegedly have "a reservation sale with Samsung Electronics for 7 days from March 2-8," according to carrier sources, which is shortly after the February 25 unveiling at the MWC expo next month. According to one unnamed Samsung official: "The Galaxy S9 series is more focused on user convenience than the new design. The detailed sales schedule and price will be released after the unpacking event." Still, the sources claim that the upcoming spring flagships will have thinner bezels, which doesn't really become evident from the allegedly legit renders of the S9 and S9+ that leaked last week. Oh well, we'll be flocking en masse to the MWC expo in a few weeks' time anyway, and relay to you all official info about the S9 as soon as we get it from Samsung. Well, Samsung is a company that's selling a smartphone with an ancient Snapdragon 410 Quad-Core, 540p Display, 1.5 GB of RAM for $200 so... Aye, it makes PERFECT sense! Samsung will try to widen the pricing gap between The A8 and The S9 to justify their hefty price tags. $600 for the basic A8. $800 for the basic S9. While the high end A8 Plus will cost nearly $700. It's like car trim levels! Either get a fully-loaded Mercedes E Class AMG or spend a little more and get a basic S Class. Lets see how this marketing strategy goes! Fingers crossed for that one! G'Day! Wish Note 9 comes with one storage option 512gb know that price going to be around 1500$ Lol. I honestly think this is the "beginning of the end" of Samsung galaxy flagship line. Samsung is literary hanging in by their AMOLED displays and that's it, there is nothing pass that point that makes them stand out from the entire android flagship bunch. Nothing! you make no sense. App pair, swipe to capture, spen. Picture in picture resizable windows style apps, and too many more features. Does more than Android phone out there atm. Can a One Plus 5T or Pixel XL launched 2 Apps with one click, sign documents. Expand storage with 256GB Apps to SD card, live focus to adjust your blur after the phot. GTFO here you sound dumb af. Seems that you forget about note 7 and how Samsung lost lot of monies for sure they will increase the price plus next iPhone X that comes with lg OLED and no more Samsung OLED. Apple will crawling back to Samsung once again to supply them. LG P-OLED are not in same quality as Samsung AMOLED. Agree with you about lg OLED. No one forces you to buy it ok? Samsung smartphones line products are from different level you know. A company that works so hard and spends enormous amount of money in RnD to discover next big thing for our generation, you need to respect their effort. Stop being selfish and support the real guy. There was a version of Mate 9 ( Pro or Porsche Design) that was more than $1000. It's the Porsche brand commanding such price rather than Huawei charging one grand by itself. you should check the mate 10 Porsche desgin how much cost and V30 premium 1200$!.